This Shiraz is deep red in colour with cherry, cassis, mocha and mint aromas. Thought to originate from the Rhône Valley in France, Shiraz, also known as Syrah continues to be the predominant variety in the Murray Darling region. In 1831, James Busby collected cuttings from Europe to introduce the variety to Australia; these were planted in the Sydney Botanical Gardens and in the Hunter Valley. By the 1860s, Shiraz was established as one of the most important grape varieties in Australia. Australian Shiraz has developed an excellent reputation and is sought after worldwide. Trentham Estate Shiraz is deep red in colour with cherry, cassis, mocha and mint aromas. These aromas follow onto the palate to compliment flavours of white pepper, sweet plum and vanilla. 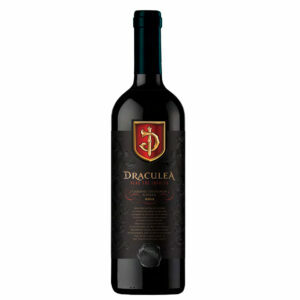 A portion of the wine was matured in a combination of new and aged French oak barrels. With robust but ripe tannins and a long, rich finish, this wine is truly a delight.